Jobs | Lower Hudson Partnership for Regional Invasive Species Management. 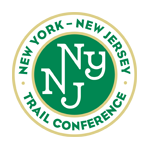 The Trail Conference is looking for four seasonal AmeriCorps Crew members to help fight invasive plants throughout the Lower Hudson Valley region And northern New Jersey. If you are looking to prevent ecological damage before it happens, join the Invasives Strike Force. Employing the most effective techniques to stop invasive plants, Invasives Strike Force crew members spend nearly every work day outside in the beautiful Lower Hudson Valley and New York City metro area, working to contain and eliminate invasive plants from the extensive parks and wild areas just outside of New York City. For more information or to apply, please click here. The Trail Conference is looking for one seasonal AmeriCorps Crew Leader and four members to record and monitor lake vegetation, educate recreational water users, and prevent the spread of aquatic invasive species throughout the region. The world's freshwater resources are the most at risk of destruction and depletion from overuse, climate change, and human interference. Be a part of a team to protect the most valuable and the most vulnerable ecological sites in the Lower Hudson Valley. For more information or to apply, please click here.